Now if you are not a kid from 90’s or 80’s then this will not surprise you anymore. And if you the one who remember the famous Gameboy titles in your childhood then I got something really interesting for you. 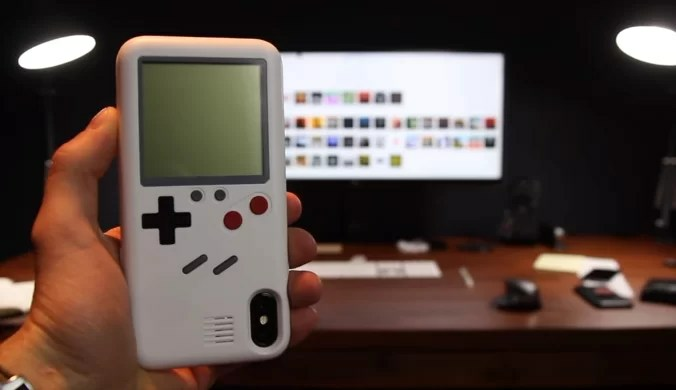 So today we are discussing the trending Gameboy case for iPhone that promises to have Gameboy kind of experience on the back of your iPhone. Yes, I am talking about the iPhone users, sorry Android guys. This is something a lot simpler then I was expecting at the first moment. It gives you the basic concept of what games were back in the old times. The interface is really simple, which is something I really loved about this case. You get your hands on games like Tetris, racing, shooting and bricks building. So, in reality, you get a combo kind of experience when you use Gameboy case for iPhone. As this thing is slim then the real Gameboy itself. Therefore, this case is something that delivers you 10 classical games and iOS experience at the same time. This is not just a phone case in reality as it looks more like a gaming console to me. A gaming console attached to the back of the phone or a console in which you iPhone fits the best. The design of Gameboy case for iPhone is really awesome in terms of durability as well. The case is made up of durable plastic material which provides maximum protection without restriction access to an external feature of the phone. The case console is neat and fits different models of iPhone like iPhone7, 7 plus, 8, 8 plus and iPhone X. For me, it is the best thing when my iPhone runs out of juice and I have to spend time playing games at the back of my phone.